The 2010 Chevrolet Corvette Grand Sport revives a familiar name - but delivers some serious performance numbers. There was a look of disappointment in the eyes of the radar cop as we drove by, a wee bit below the speed limit. Seeing us coming, with the ticket-me-red paint job and the white racing stripes on the front fender he was certain we were going to help him meet the day’s quota. To be honest, it isn’t easy to hold the 2010 Chevrolet Corvette Grand Sport under the speed limit. Heck, it’d be hard to slow down if we were living along the German Autobahn. There are plenty of poseurs on the market, models that attach the word, “sport” to their name but offer little more than cosmetic enhancements. Not so the Corvette Grand Sport. And the changes do more than just enhance aerodynamics. 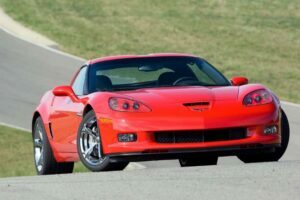 There are the oversized wheels, shared with the Z06, as well as the more expensive model’s cross-drilled brakes, measuring 14-inches up front and 13.4-inchers in the rear. They deliver real stopping power. 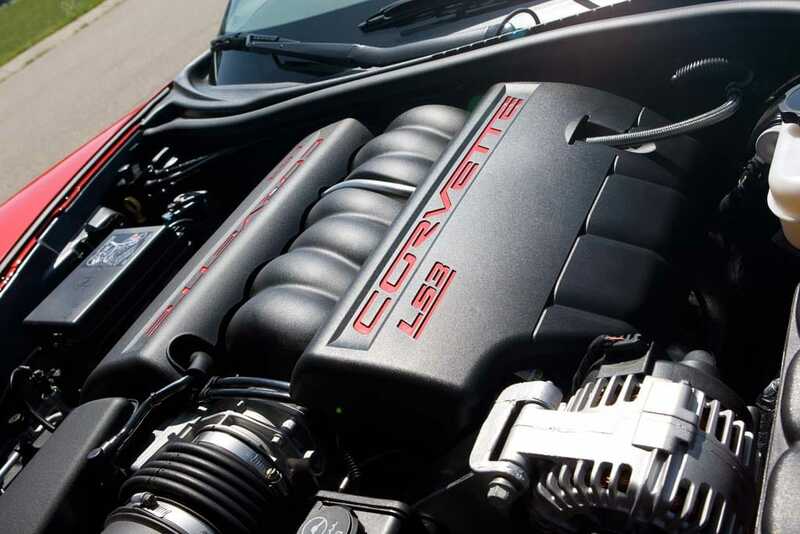 An LS3 by name only, the Grand Sport's V8 delivers far more muscle than the base Corvette. And you need that. The big news is the big LS3 V8. Yes, that’s the same designation as a standard-issue 2010 Chevrolet Corvette, but Chevy engineers have made some significant enhancements on the Grand Sport, including a forged steel crankshaft designed to handle higher loads. Offered with the 6-speed manual gearbox only, buyers also get an enhanced oil system that is actually built by hand. The Grand Sport also features enhanced anti-lock braking, traction and stability control systems, as well as Launch Control, which is designed to ensure maximum take-off speeds with minimal tire-spinning. 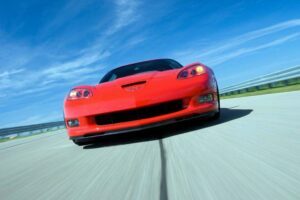 Sure, you’ll “only” get 430 horsepower, compared with 505 for the Z06, and 638 hp for the ultimate Corvette, the ZR1. But the Grand Sport’s performance numbers make it difficult for anyone but the most serious performance hound to justify the price premium – for $55,720, the GS will launch from 0 to 60 in just about 3.9 seconds, compared to about 3.5 seconds for the $107,830 ZR1. Under the skin is a base Corvette chassis, but the Z06 body delivers both cosmetic and performance enhancements. 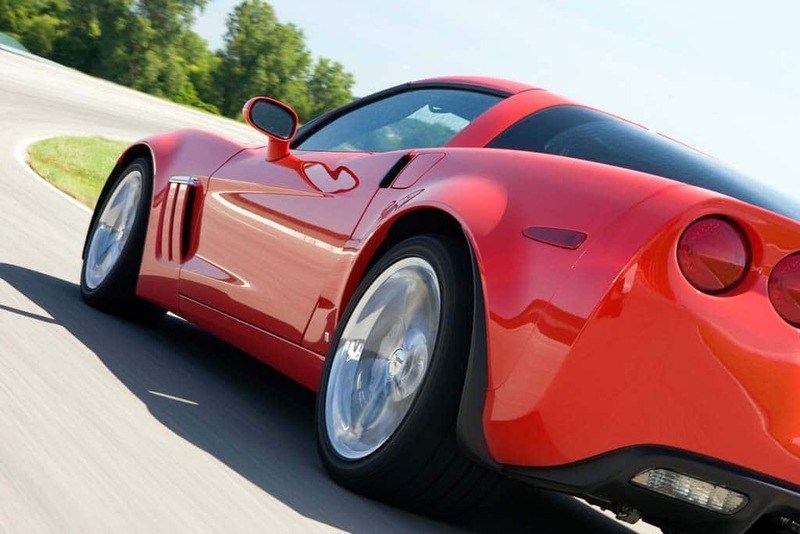 (The entry price of the standard-issue 2010 Chevrolet Corvette is $49,880. As for fuel economy, anticipate 16 mpg in the City – and probably well under 10 if you’ve got the right place to really push the GS to its limits. On the highway, however, the Corvette Grand Sport turns in a respectable 26 mpg. For open-air fans, the good news is that the Grand Sport is available in both coupe and convertible body styles, though we only had the opportunity to test the hard top model. That said, on concrete pavement we could have sworn the top was down, the road noise was so loud. As with all Corvettes, the seating is, ahem, sporty, and not for everyone. We’re hoping Chevrolet listens to the drumbeat of complaints and opts for a better seat design in the not-too-distant future. Yoga lessons certainly help in ingress and egress. Our only other complaint concerns the interior layout. It’s definitely not a $55,000 cabin. But we’ll accept a bit of money-saving on the plastic to get the high-value package squeezed under the hood of the 2011 Chevrolet Corvette Grand Sport. 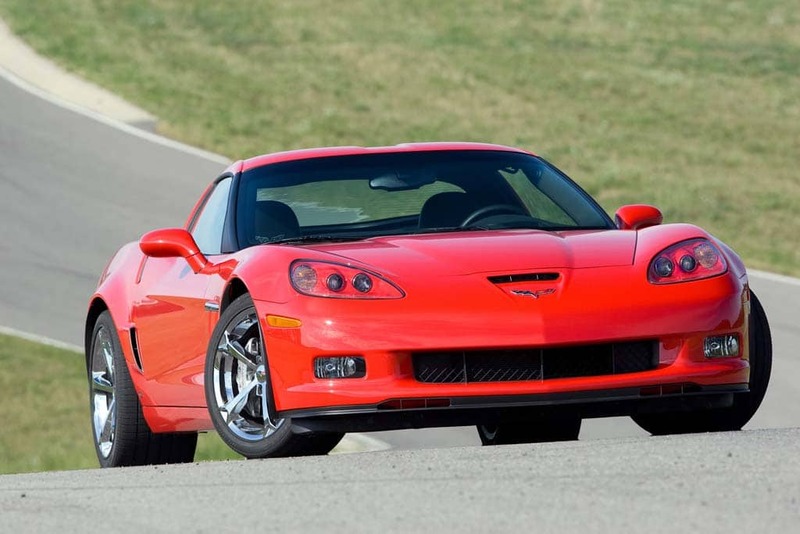 With 0 to 60 times of around 3.9 seconds, the 2010 Corvette Grand Sport is less than a half second slower than the "ultimate" Corvette, the ZR1 - and half the price. With the (at least temporary) demise of the Dodge Viper, the Chevrolet Corvette is the last of the American sports cars. The launch of the sixth-generation Vette, several years ago, transformed the often over-hyped 2-seater into a true, world-class performer. Now, for a relatively modest premium, Chevy has one-upped itself. Anyone looking to Europe for a real performance machine would be foolish not to take a look a little closer to home. 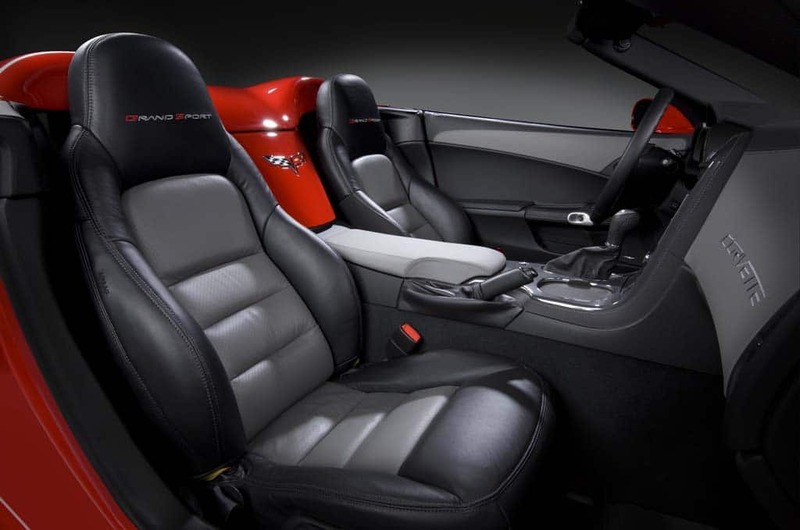 The interior is a bit weak, especially the seats, on the 2010 Chevrolet Corvette Grand Sport. This entry was posted on Tuesday, May 25th, 2010 at and is filed under Automobiles. You can follow any responses to this entry through the RSS 2.0 feed. Both comments and pings are currently closed. I love my C6 convertible and see that the bow-tie bosses still can’t figure out how to offer a respectable interior. the performance and handling make up for it, but geez, you would think Chevy would recognize a new revenue stream when it smacks them on the backside. I am always looking for a way to improve the breed and know I am not alone.